On 23-24 October 2014, over 100 representatives of farmer organizations, governments, community media, development and research organizations gathered in Rome for the Forum on Communication for Development & Community Media for Family Farming (FCCM). A little more than a year ago, the United Nations Food and Agriculture Organization (FAO) and the World Association of Community Radio Broadcasters (AMARC)joined forces on the occasion of the 2014 International Year of Family Farming (IYFF) to implement a series of awareness campaigns on family farming and related themes to support rural development and the eradication of hunger. Is everyone fully aware of the potential offered by rural communication services (RCS) for agricultural and rural development? Are ministries of agriculture, planning and telecommunications aware of what is already done and what could be possible? We know that effective policymaking is fundamental to the development of inclusive, affordable and evidence-based strategies to improve rural communication services. Are ICTs a boon or a bane in family farming? This was the question that emerged in the virtual discussions conducted in Asia, Africa, Latin America and at the global level in the last quarter of 2014. Majority of the discussants brought out the benefits of ICTs to family farming on two aspects: technical and social. A global desk study on evidence-based applications of ComDev, community media and ICTs in rural development is now on-going. 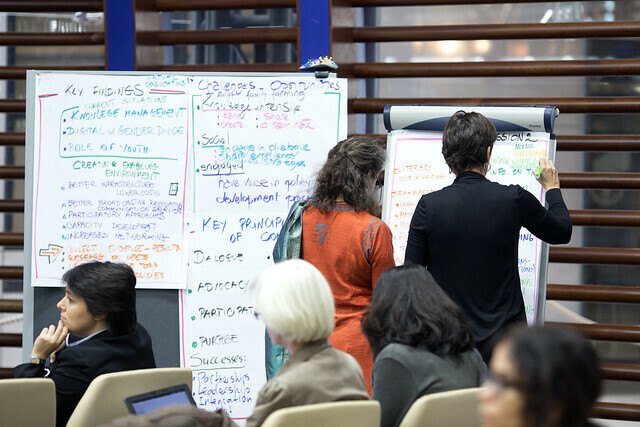 In line with the five priority areas of action agreed upon by the participants to the Forum on Communication and Community Media for Family Farming (Rome, 23-24 October 2014), this joint research initiative is promoted by the Food and Agriculture Organization of the UN and a group of leading Universities in the field of rural communication.